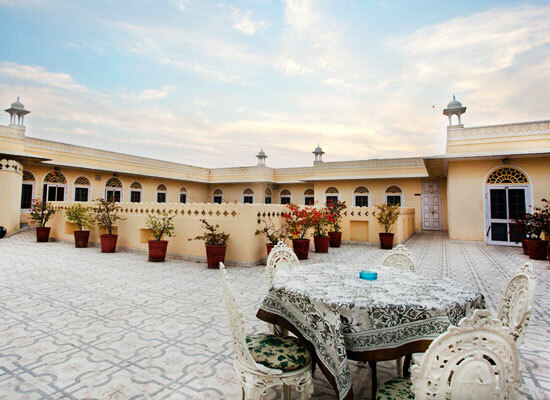 "One of the best heritage hotels in Jaipur, the Alsisar Haveli is a stunning property with the Aravallis in the background. 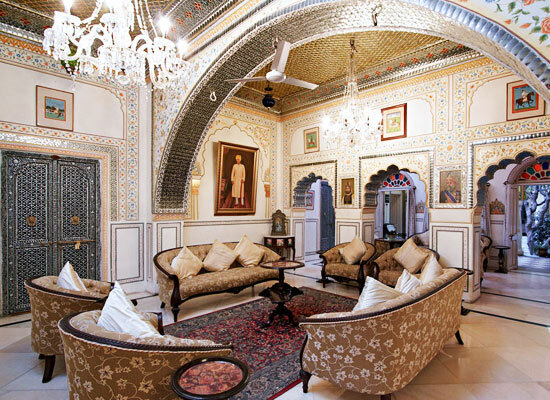 It is a wonderful mix of royal interiors and exteriors, and modern comforts, offering a pleasant stay to the guests. The rooms and suites are lavish, the food is sumptuous and the ambiance is just wonderful. Erected way back in the year 1892, this haveli still looks regal and spectacular. 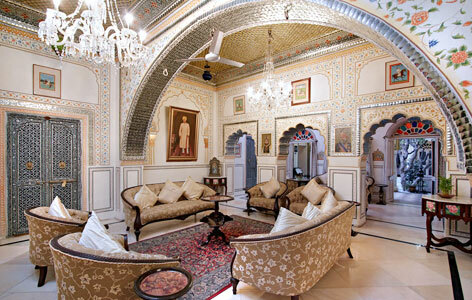 There are 45 well furnished rooms in this regal mansion of Jaipur. 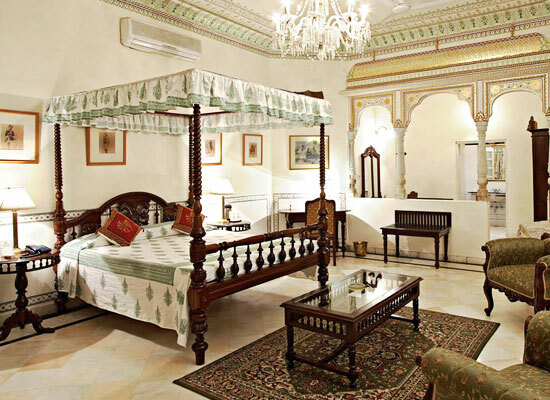 The well appointed rooms of the Alsisar Haveli have retained its glory and grandeur even amidst the vagaries of time. Each room reflects the perfect combination of elegance, luxury and comfort. Antique furniture, glittering chandeliers and the traditional décor transports the guests to the royal era of kings and queens. Pamper your taste buds with the multicuisine delicacies at the in house restaurant of the Alsisar Haveli, Jaipur. 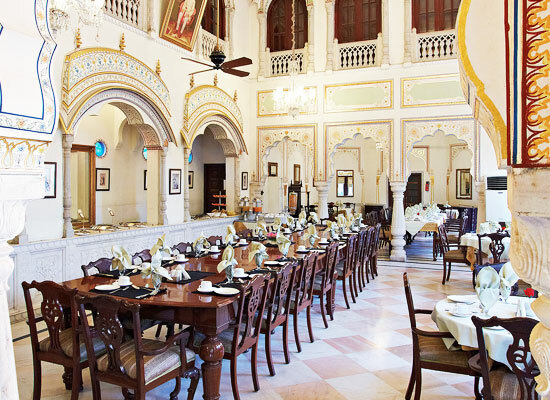 There is a spacious dining hall with an elegant décor where the guests can enjoy their royal meals. The Pink City of Rajasthan, Jaipur is famous for its Havelis and palaces. From the intricate artwork of Rajasthani handicrafts to the exquisite designs on palatial mansions, Jaipur is surely a must visit place on every tourist's itinerary. Watch the magnificence of Nahargarh Fort, Hawa Mahal and City Palace on your tour to this city in Rajasthan.